Please be informed that registration will start at 12:00 noon and the contest proper will start at 1:00pm. Venue will be at SM North Edsa Skydome. This entry was posted in Announcements, News article on October 23, 2017 by admin. 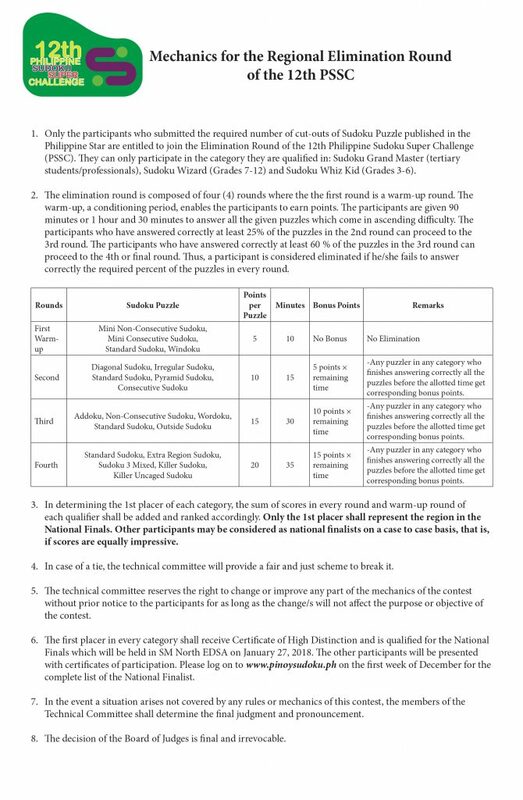 The Mathematics Trainers’ Guild (MTG), Philippines and SM Supermalls in coordination with the Philippine Star will conduct the regional elimination round of the 12th Philippine Sudoku Super Challenge this month in selected schools and SM Malls in the country. The PSSC is open to all Sudoku enthusiasts from all walks of life. On its 12th year now, Sudoku puzzlers from different regions can vie for the following titles: Sudoku Whiz Kids (Elementary Level), Sudoku Wizards (High School Level) and Sudoku Grand Master (Collegiate, Adult, and Professional Level). 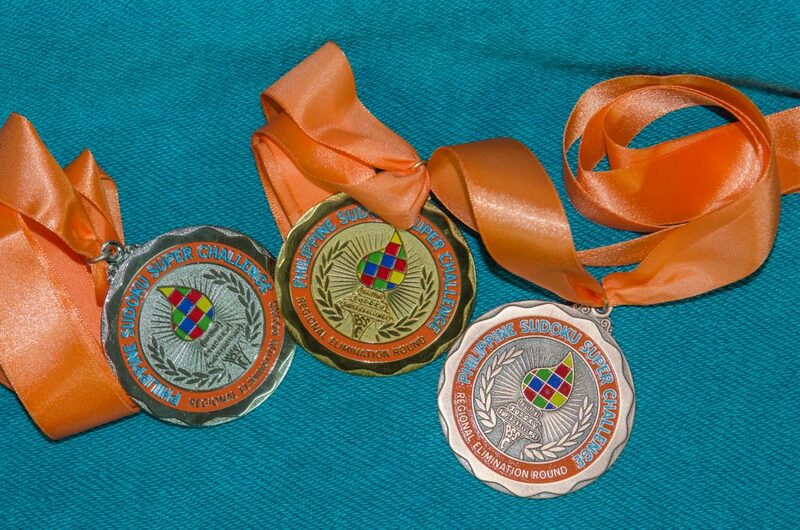 For the first time this year, the champion, 1st runner-up and 2nd runner-up of each category will be awarded a gold, silver and bronze medal respectively. However, only the champion of each category shall represent the region in the national finals which will be held at the SkyDome, SM North EDSA in Quezon on Saturday, January 27, 2018. Other participants may be considered national finalists on the case to case basis, that is if scores are equally impressive. For more inquiry, please visit this website, www.pinoysudoku.ph. This entry was posted in Announcements, Event Articles, News article on October 5, 2017 by admin.